Tripura's ethnic mosaic is as colourful as the state's landscape : Kerala on the turbulent Arabian seashores may be 'God's own country' but Tripura is the veritale 'Daughter of Mother Nature'. The grace and grandeur of Tripura's lush green landscape is heightened by its rich human resource reflected in the ethnic , linguistic and cultural diversity of the population. Traditional home to the indigenous tribals over the past millennium, Tripura had beckoned and welcomed the settlement of non-tribals down the annals of history . As attested by the enumeration of the first imperial census conducted in 1872 Tripura had a non-tribal population of 30% which grew substantially in the succeeding decadal censuses. In accordance with the returns of 2011 census indigenous tribals comprising altogether 19 communities constitute 31.05% of the state's population while 69.95% are non-tribals including a fair sprinkling of Manipuris . 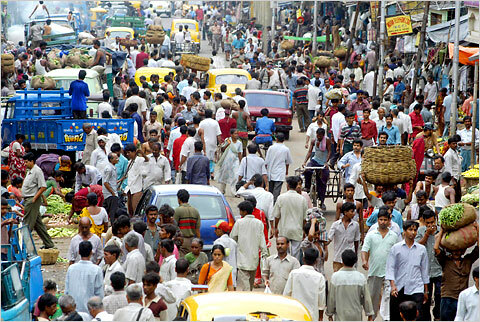 Amongst the tribals Tripuri or 'Debbarman' community form the vast majority of around fifty percent while the non-tribal population comprising by and large the Bengalis and a minuscule number of Meithei and Vishnupriya Manipuris belong to various castes and sub-castes. Fringe tribal communities-in the context of Tripura, to be precise-like the Bhils , Santhals , Mundas and Oraons who had settled in the state from the early decades of twentieth century as tea-garden labourers grace Tripura's ethnic mosaic. While 'Kokborok' has emerged as Tripura's lingua franca among the tribals, fringe communities continue to speak their own languages. 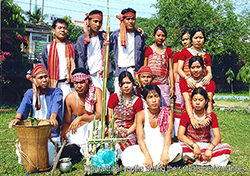 The Chakmas and Mog tribals who settled down in Tripura over the last two centuries as part of migrations from the Chittagong hill-tracts of Bangladesh continue to lead a vibrant existence with their distinctive language and culture. Tripura's traditional diversity of life is also reflected in the exalted realm of religion as followers of all major faiths, Hinduism, Islam, Christianity and Buddhism flourish here in a state of perfectly peaceful co-existence. While Hinduism continues to be the religious faith of majority population, Islam, Christianity and Buddhism thrive on the state's ethos of religious tolerance and cultural harmony. The visit of His Holiness the 14th Dalai Lama in February this year evoked a keen and respectful interest not only in the traditionally Buddhist communities of Chakmas and Mogs but in the cross-section of the populace. Needless to put on record, this demographic diversity makes Tripura an India in miniature.